To deduct closing costs, turn them into interest. 1. 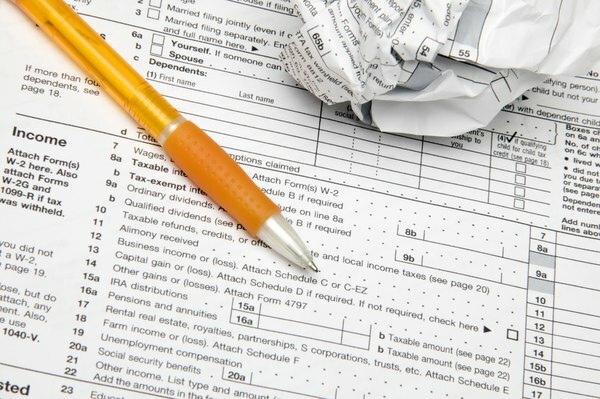 Which Loan Origination Fees Are Tax Deductible? If you pay a mortgage broker's fee, such as a loan origination fee, on your personal residence, the Internal Revenue Service's rules are clear. You can't deduct the fee from your taxes, and you can't add the cost of the fee to your home's basis to reduce the amount of your profit that is subject to capital gains tax in the future. However, this doesn't mean you can't find a way to write off the cost of getting your loan. You just have to be creative. You have two ways to pay your loan broker. If you pay loan origination points, you can't deduct them. However, if you take a higher interest rate on your loan, allowing your broker to be paid through a yield spread premium, you will be able to deduct the higher interest rate as a part of your overall mortgage interest deduction. This will let you write off the cost of originating your loan over its life. If you don't want to pay a higher rate on your loan, you have another option. Look for a no-closing cost loan with a yield spread premium, then pay discount points to your lender to buy down the rate. Your discount points will cancel out the higher interest rate and give you a write-off. For this to work, you will need to pay the discount points in cash at closing, and they must be reflected as discount points on your settlement statement. Furthermore, while you can write off all your discount points the year you pay them on a new mortgage, you will have to spread them over the life of your loan if you are refinancing. When you're calculating your deduction, remember that the IRS only lets you write off the interest and points on the first $1.1 million of debt on your first and second residences combined. If you take out a $900,000 mortgage, you won't be limited, but if you take out a $3 million mortgage, you can only deduct approximately one-third of your costs. Your loan costs for investment properties are treated completely differently. When you take out a mortgage on your rentals, the IRS lets you amortize the cost of the loan over its life. For instance, if you spend $15,000 to close a loan on your apartment building that has a 30-year amortization period and a seven-year term, you can write off $2,143 per year for the seven years. Bankrate: Are Origination Fees Tax Deductible?